The fall of communism and subsequent developments have put a renewed spotlight on the potential of the Balkan economies. Bulgaria, Albania, Serbia & Montenegro, Romania and the Former Yugoslav Republic of Macedonia are countries which have attracted low levels of investment and poor political leadership in most of the countries has delayed much needed reforms. However, there are now signs of improvement and this timely book fills a significant gap in the available literature. 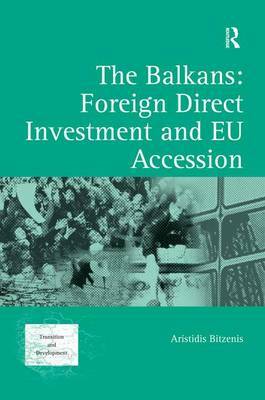 Demonstrating that these countries must engage as fully as possible with the world economy via EU accession, this book explores the implications of the specific characteristics of these countries which have made the transition process more difficult. This exciting new volume is valuable reading for students, academics and business professionals interested in international development in the Balkans.